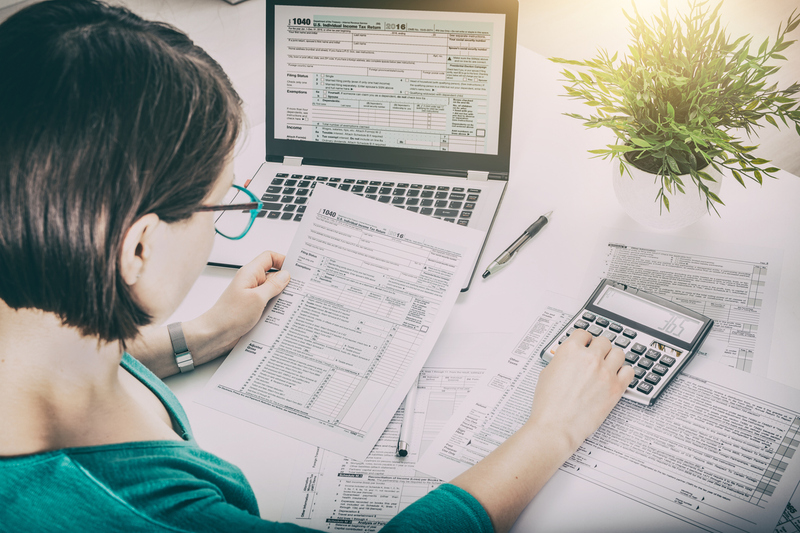 Can Undocumented Immigrants File Taxes in the U.S.? 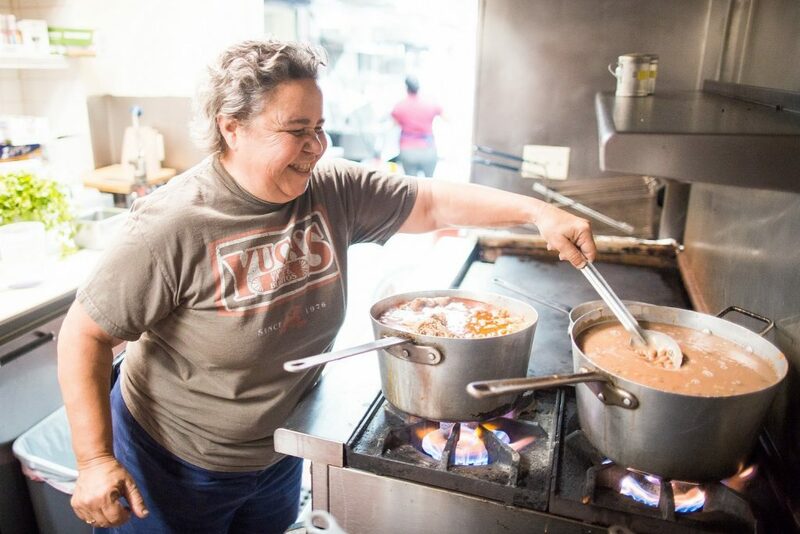 It all started in 1976, when Dora’s mother and father, Socorro and Jaime Herrera, opened their tiny restaurant in the middle of a parking lot on Hillhurst Avenue with the dream of making a lot of people happy with Socorro’s delicious food. Yuca’s Tacos & Burritos used to be a burger joint and falafel place but ended up being a Mexican restaurant as Socorro was keen to share her Mexican roots and cuisine with the neighborhood. Originally from Yucatan Mexico, Socorro inherited the cooking skills and the secret recipes from her mother, giving the food an authentic Mexican flavor hard to imitate. As with any other startup business, it wasn’t easy. But with hard work, love for what they were doing and a little bit of luck, they went from having Dora’s brother waving cars to try the food, to becoming one of the most popular taco places in L.A. Eventually, they won a James Beard Award in 2005. “She wanted to make people happy by feeding them. Through feeding them she wanted to create a community, and it was not only about filling their stomachs, it was about getting together to tell stories and build a family of strangers.” Connecting with the people around them was one of the strongest qualities that led Yuca’s Tacos to success. Even though at first they couldn’t speak English with their customers, Socorro and Jaime always were friendly and tried to create a family environment in their restaurant for people to feel welcomed generation after generation. 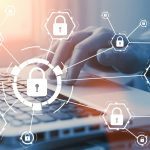 The connection was not only made with their customers, it also happened with their employees. That’s how they got their current cook, Manuel, who has been working with them for over 30 years and has managed to duplicate Socorro’s delicious tacos and burritos. Keeping a balance between doing what your customers love and doing what you love is hard. However, Socorro managed to do it for Yuca’s Tacos. Dora remembers that on multiple occasions, her mother struggled to decide what to add or take away from the menu, as they received a lot of requests from their customers. Dora’s answer was always the same “It’s your restaurant, do what you feel like doing, but do it well”. And so, Socorro experimented with different dishes and menus and kept what she felt happy doing. At the end of the day, her customers enjoyed her food so much, it didn’t really matter if some things were not on the menu. Although many restaurants try to follow new cooking trends and try new innovative dishes, Yuca’s Tacos is based on tradition. People loved the fact that when they came back after so many years, they were able to be able to enjoy it as much as the first time they ate there. 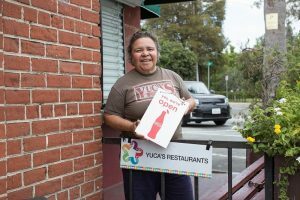 After almost 30 years of following their guts and pouring their hearts into their restaurant, Dora’s family started to think about Yuca’s Tacos from a business perspective. 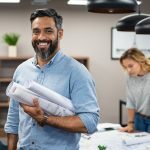 Dora took classes and eventually hired a business coach who helped them through the process of understanding how a business works and which things they should be focusing on. Eventually, they opened more Yuca’s Tacos in other areas. “Get a good team, if you’re going to scale, you need a lawyer, a marketing person, an accountant, a chef. Start networking” Dora told us. You never know what relationships you can develop with your customers. 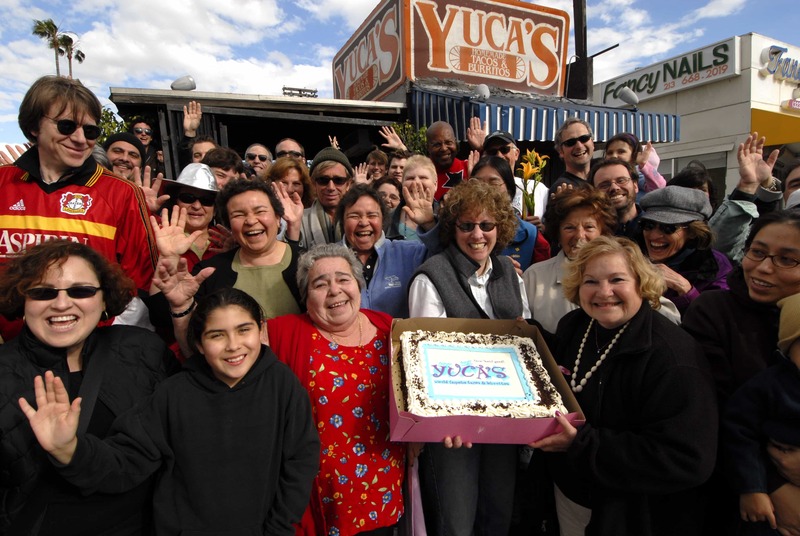 Yuca’s Tacos social media channels are currently managed by one of their longtime customers who is doing an amazing job of keeping their social media up to date. Although the Herrera’s always had family and friends supporting them financially, they also knew how to manage their money very well. They got their first location when Jaime received compensation after getting injured at work. Instead of going on a shopping spree, they decided to invest it in the business. In addition, Socorro’s good habit of saving money has allowed them to maintain financial stability throughout the years. “Without money, experimenting is harder”, Dora mentioned during our chat and encouraged people to invest their money in a business. What has kept this delicious Mexican restaurant going, is the love of food and people. So remember, do what you love, add some hard work, and success will knock on your door. 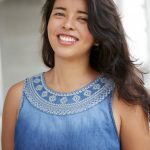 Italia is a passionate young marketer with experience in social media management, blogging, content creation, e-mail marketing, e-commerce operations and customer service. She’s a bachelor in Digital Arts and Animation, currently pursuing her Master of Science in International Marketing and Business Development.